is located at Graham Avenue and 107th Street in Los Angeles, CA and was completed between 1921 and 1954. This building was designed by Simon Rodia and the tallest tower stands a little over 99 feet tall. Watts Towers was built entirely by one man, Simon Rodia, over a span of 33 years. 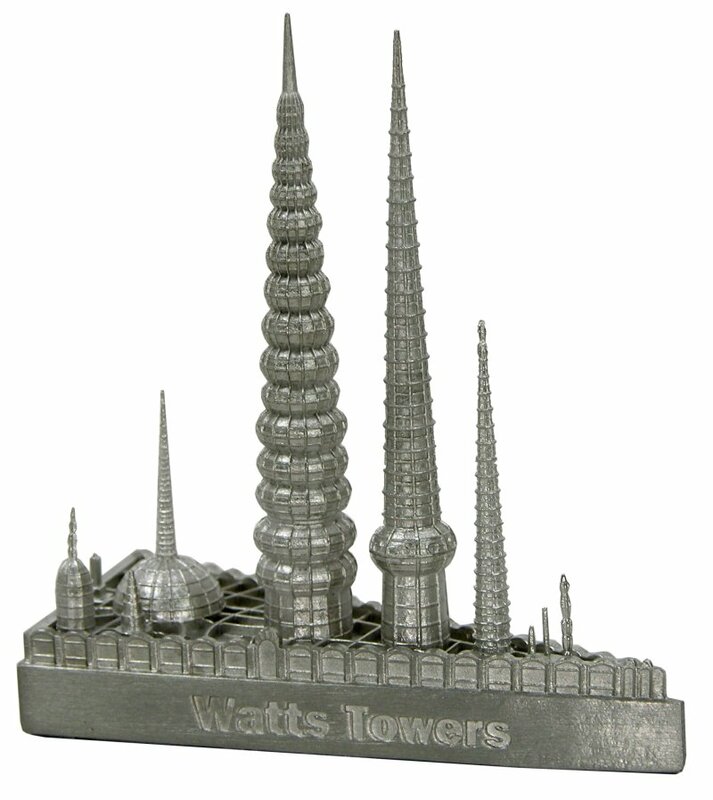 This pewter replica stands just under 3-3/4 inches tall and is finished in new pewter.